E-bikes are overtaking continental Europe, and it looks like they are becoming a top choice when it comes to commuting, running errands and simply for enjoying a good ride. Slowly but surely people in the US and in the UK are starting to accept the advantages of riding an electric bike well. The most common question people have is what to look for when picking the best electric bike for their needs? Here is a brief guide to help you decide on whether you need an e-bike, and how to choose the best one for yourself or as a gift to a loved one. How are e-Bikes Different than Regular Bikes? What Types of e-Bikes are There? How to charge an e-bike? So, How Much Does an Electric Bike Cost? How about licensing and insurance? In Conclusion – What e-Bike Should You Buy? Electric bikes are bicycles which provide extra power as you are pedaling through motors and in some cases with the assistance of a throttle. This though doesn’t mean that you won’t be putting any effort when riding one of these modern bikes. Sure, they will assist you when you are climbing uphill or riding against a strong wind, but they do require effort, balance, and coordination, so you still will be exercising if you choose to buy one of these. Generally, an electric bike is heavier than a regular one. It is also more complex and expensive. Their parts and maintenance are also more expensive than that for traditional bicycles. This though does come with a number of advantages which make investing in an e-bike quite a good decision in the long run. Some of the key advantages are that you can ride much longer distances with much less effort than if you choose to ride a normal bike. This makes them perfect for daily commuting, especially if you don’t want to be late for work, or arrive there drenched with sweat. Another benefit is that you can carry quite a bit of cargo with your e-bike, so you can go shopping with it, take your kid with you or run other errands with it much cheaper and easier than going with your car. E-bikes provide a much better climbing efficiency, a longer riding range and wind resistance than regular bikes. They are perfect for people suffering from injuries, asthma or other health problems which do not allow them to ride regular bicycles. They still provide various health benefits, especially for people who are leading sedentary lifestyles. Studies show that owners of e-bikes ride more miles and more often than those with regular bikes, due to all the advantages, as well as to the fun factor involved. In the EU, the speed limit for e-bikes is 16mph (25km/h) and for the UK it is 15mph (24 km/h). In the US, the speed limit for electric bikes varies from state to state, and so do the requirements for licensing and insuring motorized bikes. Although the speed limit is relatively low, you will still find that commuting on your e-bike could be much quicker than driving to work, especially if you pass through heavy traffic on a daily basis. The power of the e-bike depends on its batteries. Some Shimano Steps batteries have a 400W capacity, but plans are for 500W batteries to be released soon. The two main types of e-bikes are “pedelec” and “twist-n-go” bikes. The first type adds motor assistance to the rider’s pedaling depending on the rate, speed and force inputted. In most countries, the output of the motor is limited to 250 watts, and the speed limit is up to 15-16 mph. Once the speed limit is reached, the motor switches off. The high performance “pedelec” electric bikes can reach a speed of up to 28-30mph, but these usually need to be licensed, insured and have license plates, depending on the country you live in. You can also get the electric scooter for kids in the market now. 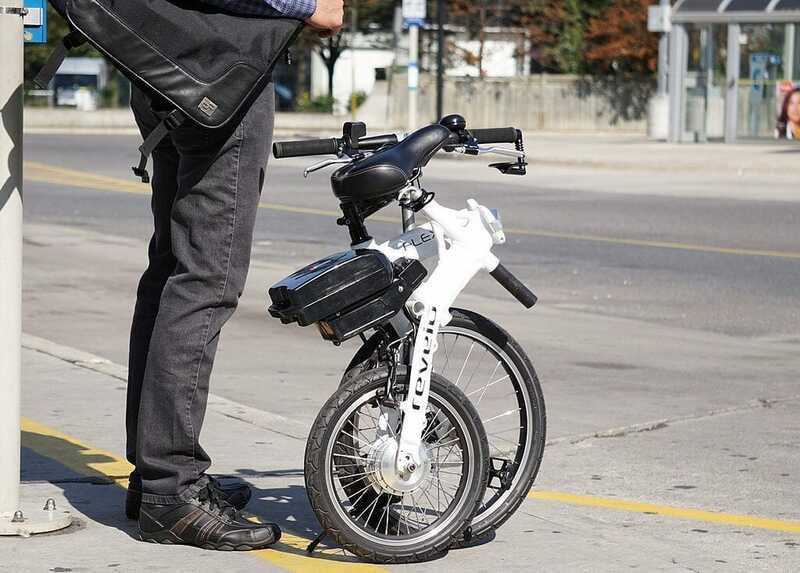 The “twist-n-go” e-bikes feature a switch which the rider can use to get assistance from the motor rather than the motor switching itself on and off automatically. As a whole, there is a wide variety of electric bikes to pick from. There are electric mountain bikes which are designed and made to handle the roughest terrains. Also, you can get an e-road bike, an e-folding bike or an e-hybrid too. Most e-bikes are powered via an electric motor mounted on the bottom bracket, but some have a motor on the front hub instead. The battery is usually installed on the pannier rack over the back wheel or on the downtube. Some manufacturers offer electric bike conversion kits, so you can turn your regular bike into a motorized one by yourself. E-MTBs are powerful, all-terrain electric bikes which will help you get more mountain or off-road riding done and expand your overall riding range. The powerful e-mountain bikes will assist you on the difficult climbs and then let you enjoy the downs fully. There are electric mountain bikes with a full suspension and others with a hardtail. The problem with an e-mountain bike is that it can be quite hefty, especially if it has full suspension. Most reputed manufacturers have implemented a “walk mode” to make walking the e-MTB up a hill on particularly difficult climbs. These types of e-bikes are also quite expensive. One simple, and yet good looking example is the Addmotor Hithot electric MTB. It is easy to assemble and yet is very sturdy thanks to the strong 6061 aluminum alloy frame and handlebar, paired with an SR Suntour XCT fork and alloy spring suspension. The 500-watt motor is powered by a durable Samsung battery, so you can enjoy up to 60 miles of riding uphill, downhill and through rough terrains. Plus, you can carry heavy loads with ease with this wonderful e-MTB. These e-bikes are perfect for those of you who love road cycling but want to enhance your mileage and enjoy the fun with lesser effort than riding a regular bike. Some models have hidden motors, and others are more obviously motor and battery powered. These Hybrid Bikes are designed and made as eco-friendly commuting machines. They start at reasonable prices, especially when compared to the price of a car, fuel, maintenance, insurance and parking. In general, their batteries can power the motor for 30-40 miles, which means that most commuters can get to work or school without recharging. Even if you do need to recharge the batteries, this can easily be done anywhere through a normal power outlet. This type of e-bike is an even better option for commuters who need to get on trains, buses, or want to keep their e-bike stored in the office or at home. They feature all the advantages of e-bikes but are collapsible to save space and for easy storage. If you already have a foldable bike you can purchase a kit to motorize it, although these conversion kits are not very cheap. These are superb eco alternatives to cars when it comes to running errands, such as taking the kids to school, grocery shopping or others which include carrying loads of different sizes. Due to their capacity of carrying heavy loads, these e-bikes are made of stronger components, with more powerful motors and a non-sporty riding position. This makes them larger and heavier, but nevertheless, the e-utility bikes are brilliant. When it comes to motors for e-bikes, there are two main types to choose from. One is a motor which is mounted on one of the wheels (hub motor assist) and another is mounted at the pedal or crank area (crank motor assist). Both detect the rate and power of your pedaling and ensure motor assistance in accordance to that. Crank assisted e-bikes are better for riding steep hills but are noisier than the others. Hub assisted e-bikes are not as efficient on steep hill rides but are quieter than crank assisted ones. How long the battery on your e-bike will last depends on its size, the type of terrain as well as on your weight. For the latest Bosch motors for e-bikes, the estimates are that a rider who is less than 176lbs can get up to 50 miles when riding at 12.4 mph in Touring mode and up to 87 miles when riding in eco mode. The lifetime of a battery depends on how much you use your e-bike. Shimano offers batteries which are good for 1,000 cycle charges (approximately 37,000 miles), and Bosch offers e-bike batteries with 2 years warranty. All manufacturers of e-bike batteries offer batteries with intelligent battery management systems which keep them safe from overcharging, excessive heating and from deep discharging. The cost of replacement batteries varies, but there are some which are relatively budget-friendly such as Shimano STEPS. Most e-bikes can be charged via a main power socket. The latest models have removable batteries, so you can take them home or at the office and charge them there. Usually, a full charge takes up to 3-4 hours, but some of the newer and improved batteries can be charged in a matter of just 1-2 hours without having to fully discharge them and without damage to the battery cells. The range of an e-bike is the distance at which it can go on a single full charge. This feature is probably one of the most important ones when you are picking an e-bike. If you are planning on riding it on a long commute with a long hill ride, you wouldn’t want your battery to run out of power while you are in the middle of the climb, because without a battery, the e-bike becomes a quite heavy bike to ride. The range depends on the capacity of the battery, the speed, the terrain and on your weight. Make sure you carefully consider and calculate the distances and other factors involved when choosing the most suitable e-bike for your needs. But always buy one which has a higher capacity than your needs, because over the time the range can fall as the battery ages. E-bikes do cost considerably more than regular bikes. The good news is that the cost of batteries, motors and other components are going down as e-bikes are gaining popularity. An entry model with a battery for up to 40 miles can cost as little as $650, some medium range hybrid e-bikes can cost about $2,400. For higher end full suspension e-bikes you may need to spend over $3,500. How much you have to invest in your e-bike depends on how you are planning to use it, the mileage, the terrains, carrying loads, etc. For most of the European countries, no licensing or insurance is required for owning and riding an e-bike with a capacity lower than 16mph. As for the US, you need to check your local regulations, but in general, most states do not require a license for e-bikes which can’t go more than 20 mph. In Australia, there is no need for a license or insurance for electric bikes which can’t go faster than 25kph. First, ask yourself whether you need an e-bike for commuting, for running errands, for mountain or off-road riding or for road travels. Also, do you plan to take it on trains or store it at home, or can you keep it outdoors or in a garage? The different types of e-bikes are designed and made for different needs and for different types of people. Some are specialized for cargo hauling, other types are suitable for mountain biking, trail riding, downhill, road riding, snow or sand riding, child carrying, commuting or for traveling. This means that you should prioritize your needs, in order to get an e-bike which serves it purpose and makes you feel happy with your purchase. The best thing to do is to visit a local e-bike store and chat with the people there. You can discuss your needs, and even test a few different e-bikes to see which one you like and prefer.